The team behind Microsoft is set to create a smart security solution using computers. Not two or three, but 400 million PCs. The team behind Microsoft is set to create a smart security solution using computers. Not two or three, but 400 million PCs. The project is one of the most ambitious of its kind. Artificial intelligence will be a very important part of the company’s plan. Microsoft say that the new security update is going to implement machine learning from all the computers involved in its creation. The product is meant to protect owners against malicious malware. In this day and age, artificial intelligence is more important than ever. Especially when hackers are very quick to develop stronger malware and launch it during more and more frequent cyber attacks. Everyone who owns a computer is at risk of these dangerous actions. When devices are not protected by powerful security solutions, their respective owners risk losing every crucial data stored on them. The WannaCry ransomware attack that affected over 230,000 people around the world this year is only one example of what device owners are up against. It’s only a matter of time until the next massive cyber threat arrives to affect PCs worldwide. This is why Microsoft have decided to build a bigger and better security solution. Artificial intelligence will be the main star in their plans. Ever since the WannaCry threat, the company has been under fire for not delivering strong protection tools to PCs featuring older Windows versions. To remedy the situation, Microsoft eventually came up with updates one month after the cyber attack happened. The patch they released took care of all the vulnerable situations the NSA reported back then. Computers running older versions of Windows could stay protected from ransomware attacks much better than before. Hackers show no signs of backing down when it comes to creating new threats. As they continue to dig deep and find other vulnerabilities, they think of other ways to infect computers. To make sure their plans are more difficult to execute, the team at Microsoft are hard at work. They want to avert an upcoming worldwide crisis of malicious software affecting PCs by releasing an improved security update. What other better way to do that than to rely on something new this time around? The novelty consists of machine learning. For that, Microsoft want to use over 400 million PCs that run the Windows 10 operating system. The new creation is called Windows Defender ATP Fall Creators update. According to Rob Lefferts, director of program management for Windows Enterprise and Security, the update comes with some prevention features that are completely new. This is meant to put an end to threats as soon as they happen. Thanks to this, any future attack will do zero damage on a computer. Data will be taken from different cloud programs. Here is a short list of them: Office, Endpoint, and Azure. These will come together as one and help emerge an AI security solution unlike any other before it. The antivirus is going to be smarter than others and capable of evolving based on the sort of cyber attacks hackers will unleash in the future. This new and easy to manage antivirus will be able to observe the behavior of malicious software and take necessary steps. As soon as the update locates malware on a PC featuring the Windows 10 OS, a signature will be created for it by Microsoft. Once that is done, everyone else around the world using a computer with the same operating system will have nothing to worry about. The malicious software is going to be sent to a virtual sandbox on the cloud. For now, the antivirus can only be used by businesses and enterprise customers. All PC owners everywhere will eventually also receive the update. Once they do, they will not have to worry about losing important data or having to pay good money to retrieve it from a hacker. The Windows Defender ATP Fall Creators update will come with improved protection for Microsoft Edge users. In the past, various security threats have damaged many PC owners who use this browser, more precisely over 5 million of them. The latest update also offers better response, investigation, and detection capabilities. Computer owners will be given the possibility, for instance, to use the Windows Defender Antivirus to perform machine scan, block the execution of files they don’t know via Device Guard, enjoy keylogger alerts, and so much more. There is also something else users will look forward to: Windows Defender Exploit Guard. This one is all about intrusion prevention for companies. A very helpful addition, the Windows Defender Exploit Guard can perform a lot of useful actions. One of them lets you automatically block sites that contain dangerous code. Another great capability of this feature: it makes it easy to block those Office documents that come with macros which try to download and run malicious content from the Internet. A new and improved set of security graph APIs is also thrown in the mix. These will let PC users gain information on what is happening with their systems and then take all the necessary steps needed when confronted with a certain situation. A single pane of glass view across the Windows security stack is to be expected in the security update, too. With this feature’s help, a computer is going to have a faster reaction to an upcoming cyber attack. Last but not least, the new security solution is packed with a new security analytics view. Its role is to show vulnerable spots in a network, check out the security health of an endpoint and much more. It’s become quite clear that hackers and the cyber attacks they launch each year are becoming more and more creative. This is one of the reasons computer owners around the world need better protection against malicious software. 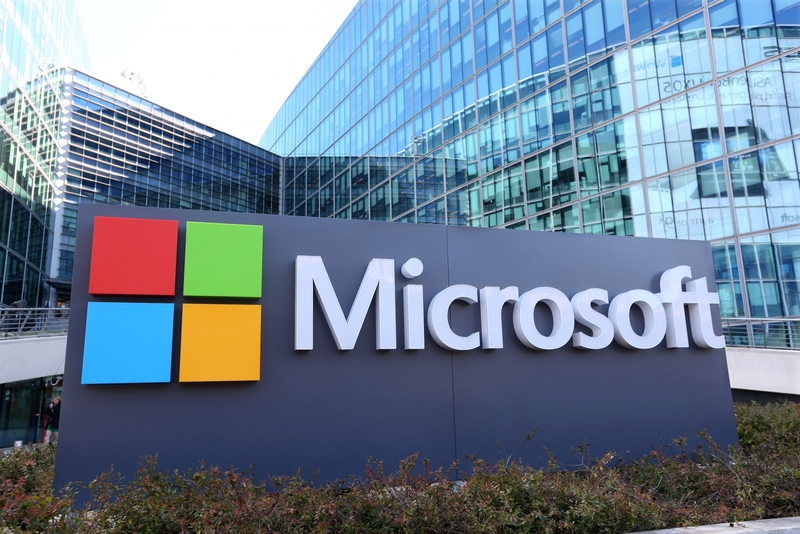 Microsoft have thought of a new antivirus that uses artificial intelligence and more than 400 million PCs to offer what could be the strongest weapon against cyber threats so far. Until it becomes available for every computer owner, take a look at this list of the best antivirus software of the moment. Information Security Infrastructure Expert with experience in a wide variety of advanced technologies. Interested in positions integrating technical lead with a focus on security and antivirus protection.